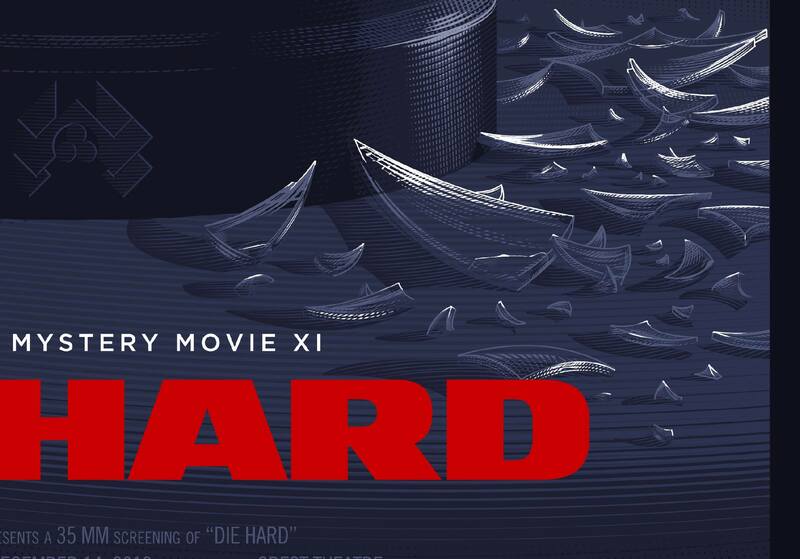 USAopoly, a leading board game and puzzle publisher, and FOX Consumer Products announced plans to release Die Hard: The Nakatomi Heist Board Game this spring. This is the first time the suspenseful action classic, which made its theatrical debut in 1988, has been officially licensed for a board game. Die Hard: The Nakatomi Heist Board Game will be available Spring 2019 in select retailers, encouraging friends to come out to the table, get together, have a few laughs. Debates over whether the title will be considered a Christmas game or an action game to play year-round are expected to surface among fans waiting to relive the pop-culture hit on the table top. 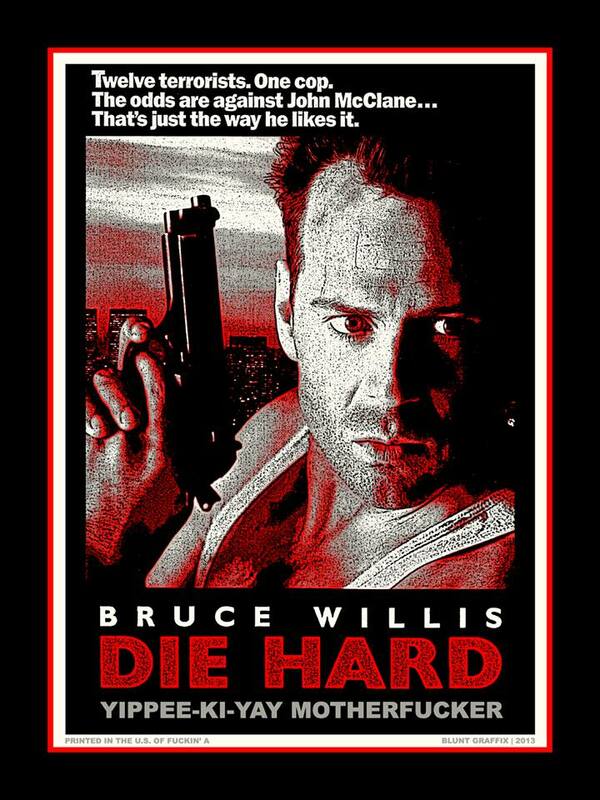 The long-standing debate about whether or not Die Hard is a Christmas movie now has a definitive answer. For the film’s 30th anniversary, 20th Century Fox has released an all-new Blu-ray decked out in a festive holiday sweater. 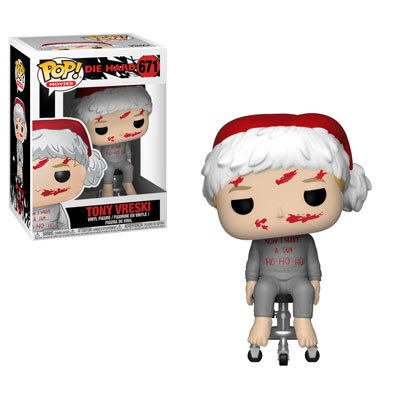 They’ve also released a new trailer commemorating at as one of the greatest Christmas classics of all time. The Die Hard Christmas edition Blu-ray is available to purchase now. You can finally watch your favorite Christmas movie with the toughest NYPD detective ever to foil an elaborate German terrorist plot. 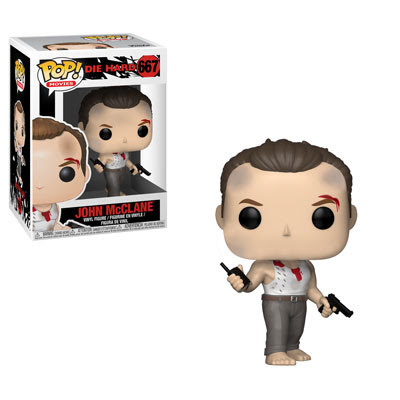 The John McClane Pop! 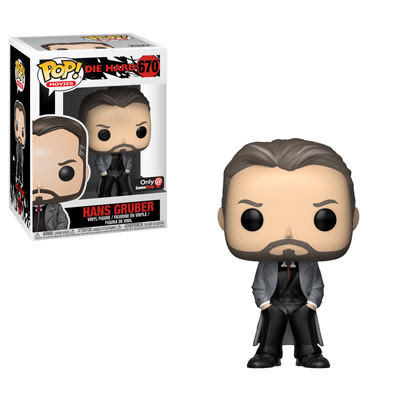 looks somewhat the worse for wear with blood on his hand and shirt, but that won’t stop him from stopping mastermind Hans Gruber whose Pop! is in surprising good condition considering everything that goes down that fateful Christmas Eve. Tony Vreski looks downright festive wearing a Santa hat and more than a little blood. Sergeant Al Powell has his priorities well in order with a handful of Twinkies. 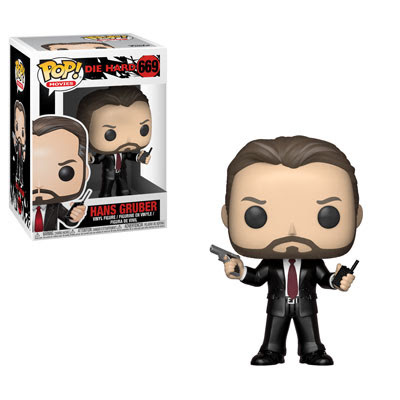 Hans Gruber wearing a dapper suit is available as a GameStop exclusive. 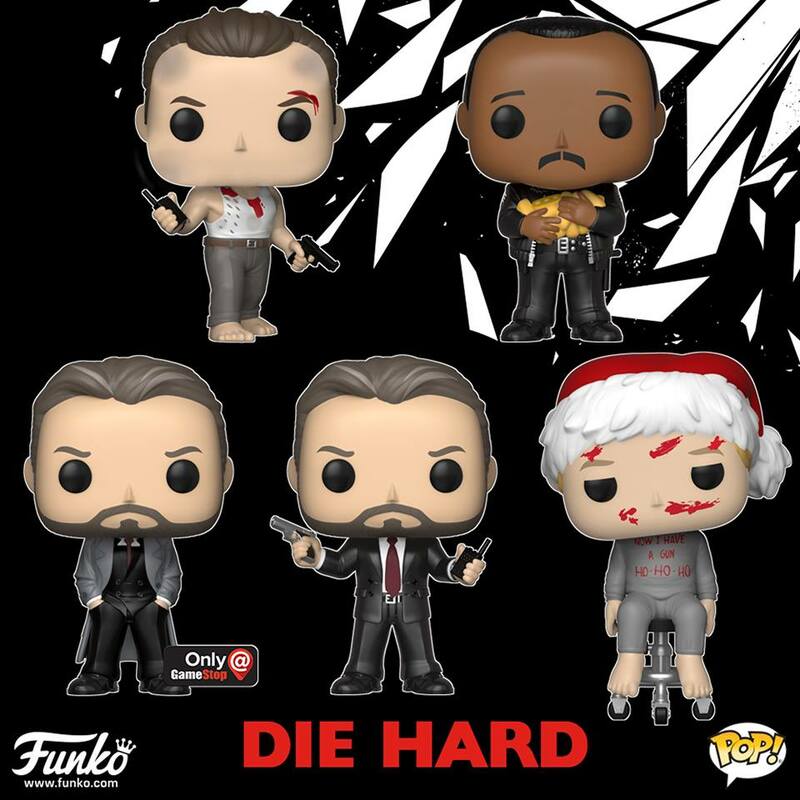 Tagged Die Hard, Funko, Movies, Pop! 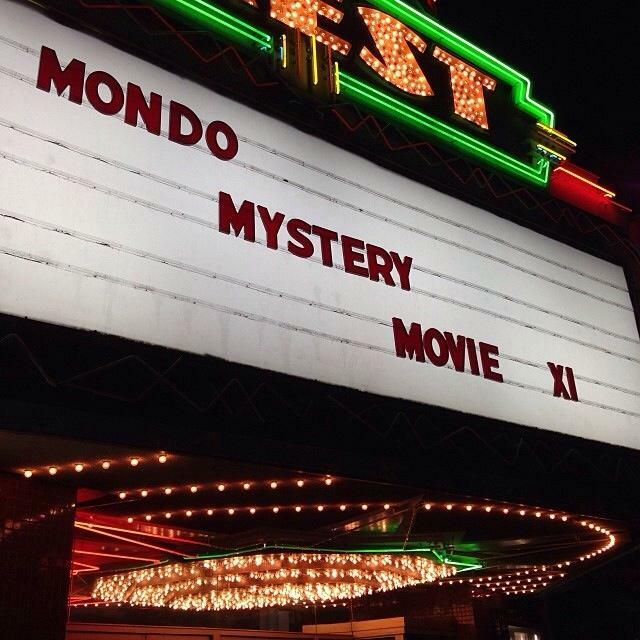 Last night MONDO held their eleventh MONDO Mystery Movie event in Los Angeles at the Crest Theatre. Tickets to the show sold out within seconds and the lucky attendees did not know what film they’d be watching or which artist would create the limited edtion poster designed specifically for the event. I was fortunate to attend last night and the line of people was buzzing with speculation of what the movie might be. 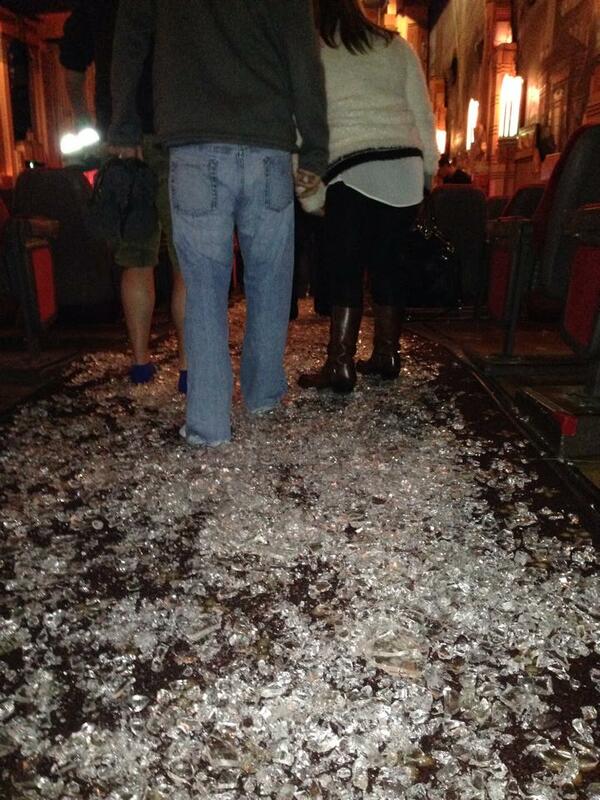 When we entered the theater, we were asked to remove our shoes as we were told it was a historic building. Strewn across the floor was what appeared to be shattered glass (fake rubber movie glass). 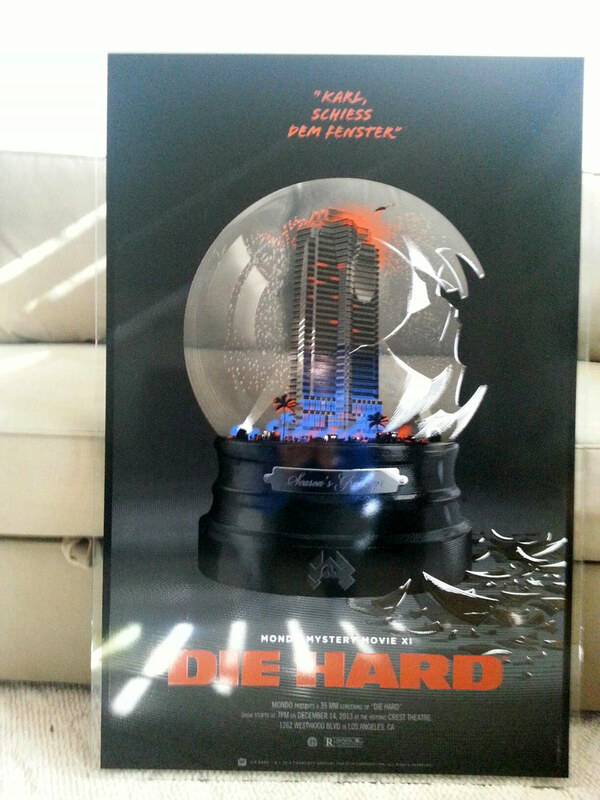 Rumors were immediately confirmed; we were going to see Die Hard as the glass was a key element in the 25 year old movie. 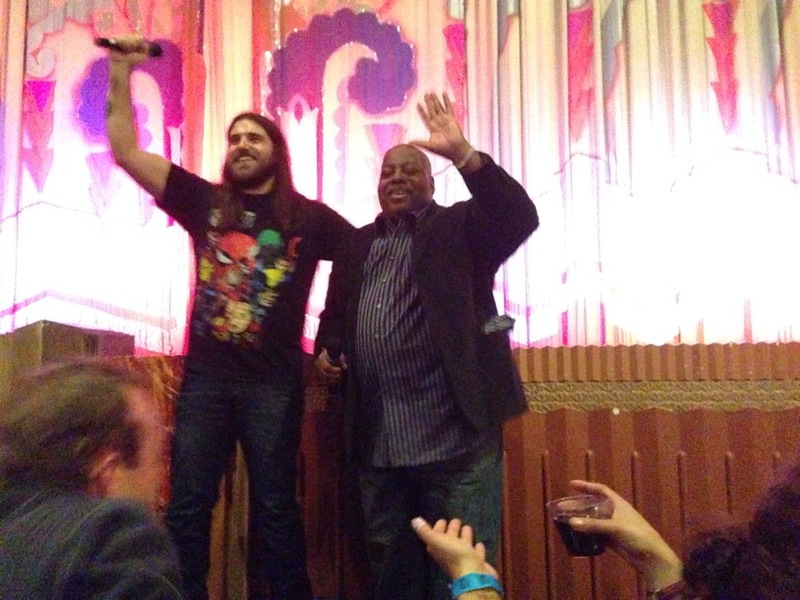 MONDO Chief Creative Officer, Justin Ishmael welcomed the audience and then introduced a special guest, Reginald Veljohnson who played Sgt. 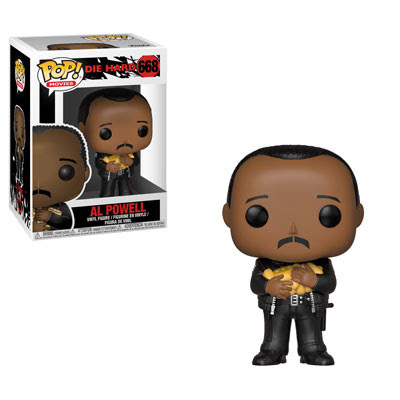 Al Powell in the iconic action flick! The jovial actor shared a story of how he was chosen for the role and then we were transported back to 1988 watching a 35mm print when Bruce Willis still had hair! Over two decades later, the movie still held up and was thoroughly enjoyed! 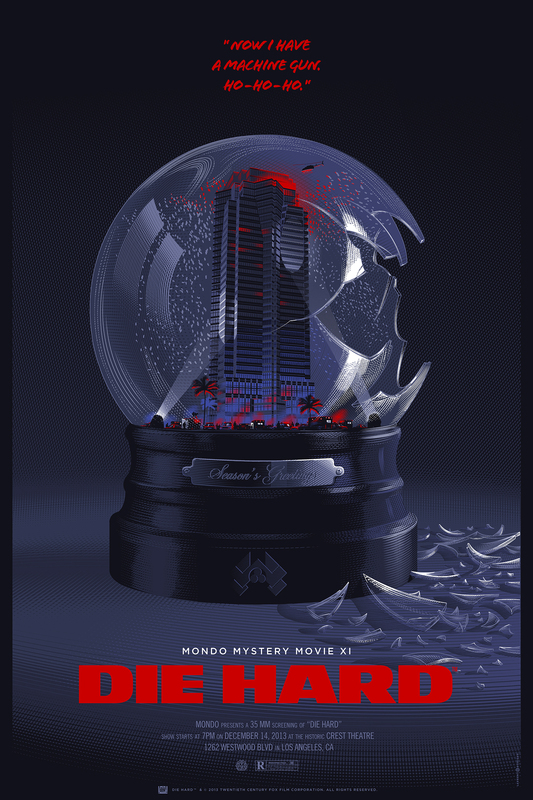 Ishmael then revealed the exclusive poster by Laurent Durieux which was available in a regular edition of 450, a variant of 150 and a metal variant of 80. 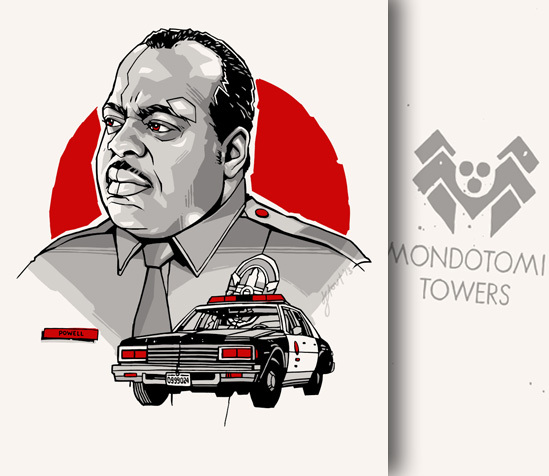 The prints came with a handbill by Tyler Stout featuring Sgt. 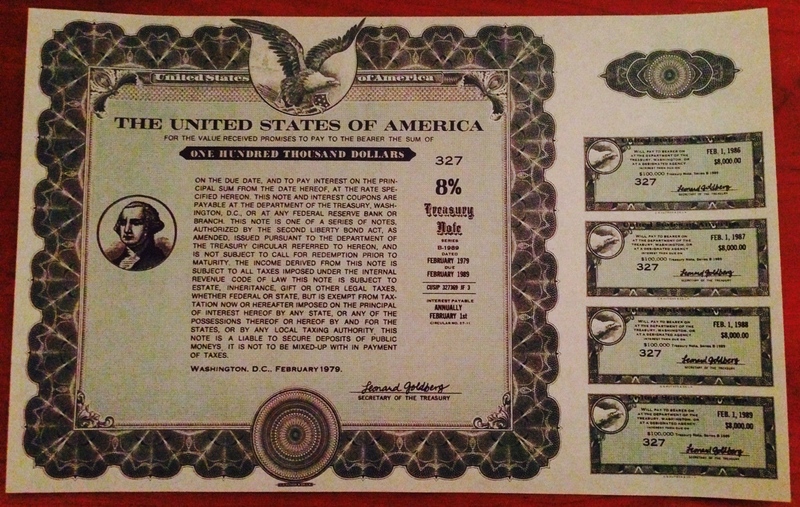 Al Powell and a replica bearer bond. As the audience was about to exit the theater to pick up their prized prints, Ishmael said there was one more thing…under one seat was a “detonator” to which everyone jumped up and checked the bottom of their seats. One lucky guest received a one-of-a-kind super glass printed variant! 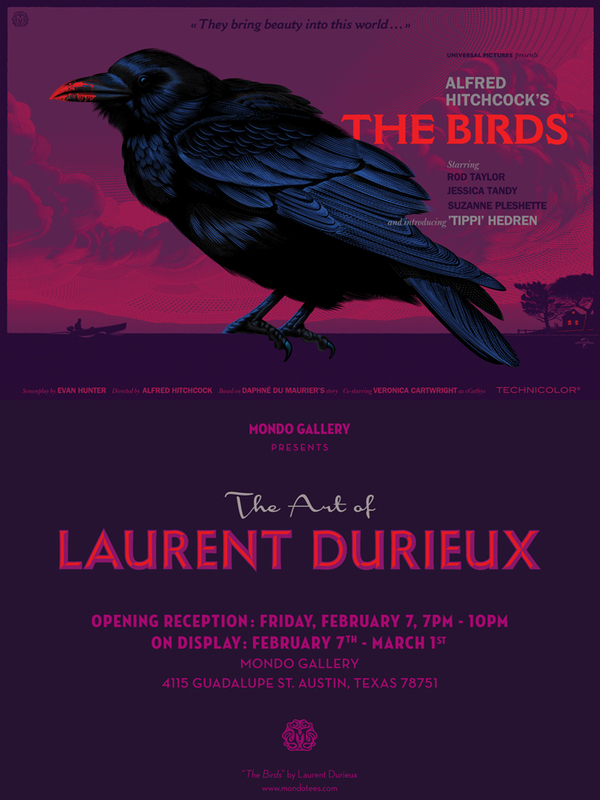 MONDO also announced that that they would be hosting a gallery show ‘The Art of Laurent Durieux’ opening on February 7, 2014 and running until March 1, 2014. They previewed the first piece by the Belgium based artist, a beautiful print celebrating Alfred Hitchcock’s The Birds. Just as MONDO has forever transformed the movie poster landscape and converted printed paper into desirable collectable pieces of art, the Austin, Texas based boutique has elevated the experience of going to the movies by making it a cherished once in a lifetime happening! 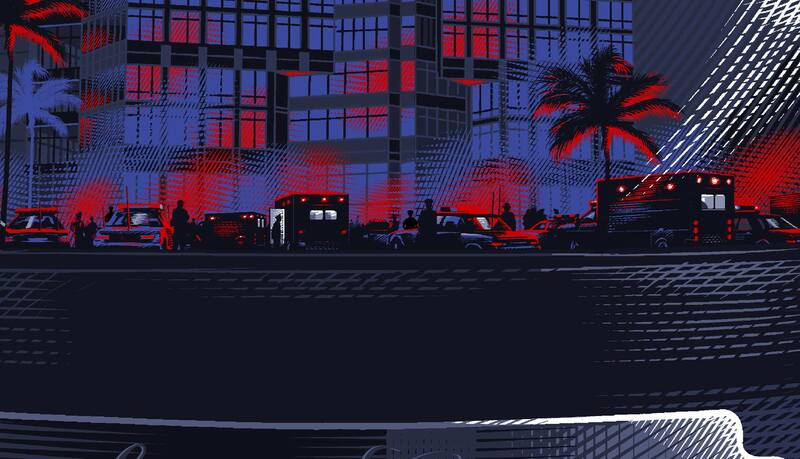 This 18″ x 24” Die Hard Print by Blunt Graffix is signed and numbered by the artist. Featuring metallic ink and red fluorescent ink, the poster glows in black light! The print run is 60 and is priced at $55. Order it HERE.